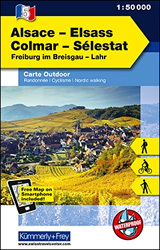 The GR5 is one of the most popular long distance hikes in Europe. And with reasons: the trail connects the North Sea with the Mediterranean and crosses some of the best and most varied mountain ranges of the continent. If you want, you can continue the GR5 north into Great Brittain: the E2. Along this trail, friendships were coined and hiking clubs were born... Not surprisingly, a lot of information can be found on the world wide web. The trail starts in the Netherlands, Bergen op Zoom. Soon the path enters Flanders and its sandy grounds and typical villages. The GR5 again enters the Netherlands, the old and interesting city of Maastricht. Next is the Ardennes region of Belgium, the romantic and forested hills with its grey houses and farms. Third country is Luxembourg. 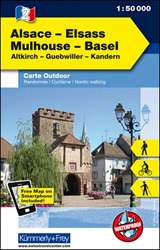 The path follows the border with Germany, along the meandering river Moselle and its castles. 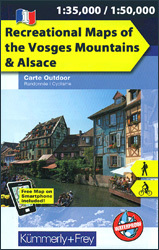 In France the GR5 explores the Vosges, then the Jura, sometimes crossing the border with Switzerland, and finally, after crossing the lake of Geneva by ferry, it follows the length of the Alps. Highlight here is the Mont Blanc. 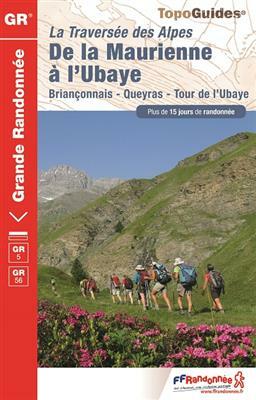 But also the Vanoise, Écrins, Queyras and Mercantour. The trail ends in Nice, good place for a refreshing bath and good meal before returning home. Many hikers made a life experience of this hike, often returning year after year to tag another section on the record. Nowadays the pilgrimage to Saint James of Compostela is probably more popular, highlighting the spiritual needs people probably have. 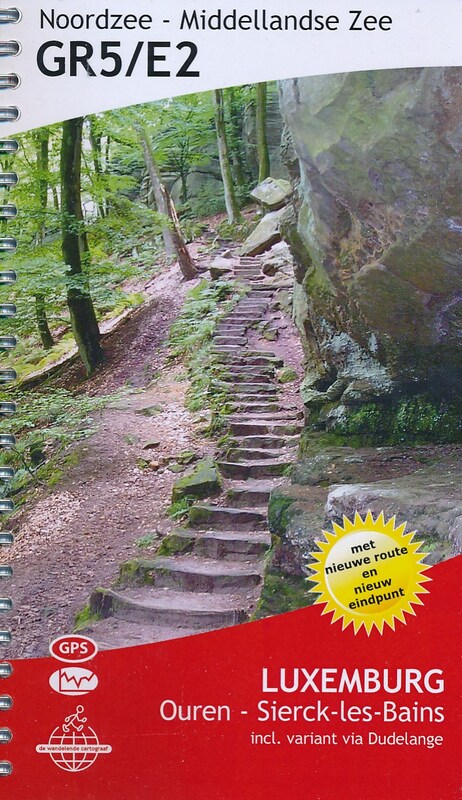 Positief 98 days pure walking with my best friend gerard was of my best experiences!! This 8 is because of a 9 in the french alps, an 8 in the vosges and ardennen in belgium abd a 7 in luxembourg, pays lorraine and parts if the netherlands It is special because you walk to the sea and walk through beautiful national parks!! Negatief Only minor things bothered me, like the language barrier (French). Time to times I would have liked to meet more like-minded long-distance hikers. Positief Mooie bosrijke wandeling met als orgelpunt de Kalmthoutse heide. Verslagen van mijn wandelingen. De GR5 ,Cape Wrath Trail, Kungsleden. Positief De verbindingen tussen begin en eindpunt waren goed. De paden goed begaanbaar. 11-06-2016. Van de camping van Les Hôpiteaux-Neufs naar Mouthe . Afstand ± 23,2 kilometer. De 50e etappe van de GR-5. 12-06-2016. Van Mouthe naar Les Rousses . Afstand ± 44 kilometer. De 51e etappe van de GR-5. 13-06-2016. Van Les Rousses naar garé van Nyon. Afstand ± 28 kilometer. De 52e etappe van de GR-5. They hiked many parts of GR5 / E2: Lumaj Hiking Blog. 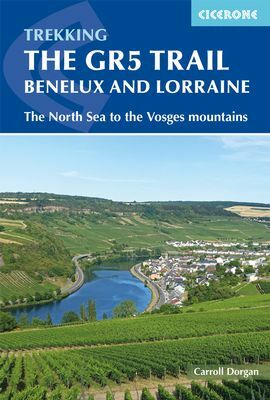 This website describes the Belgium / Flanders part of the GR5: facts, map, GPS. Very readable collection of facts and advice, and for many GR5-veterans a happy recognition. 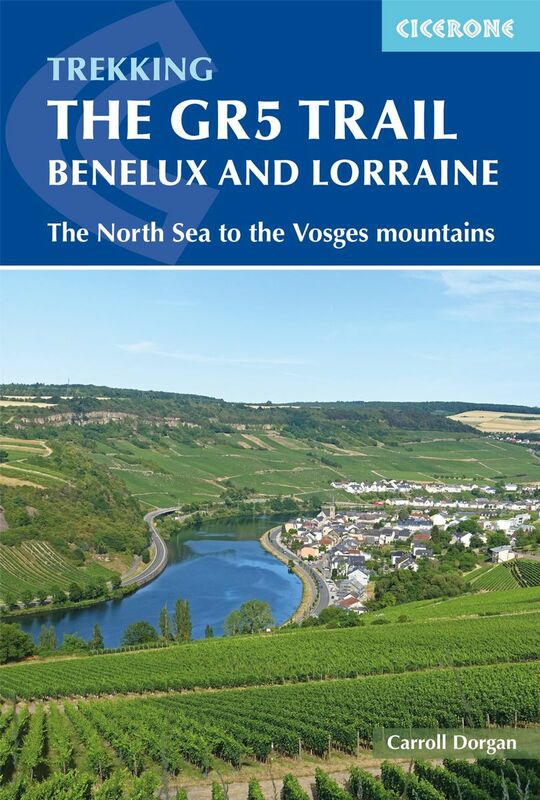 This webpage is about the Belgium / Wallonian and Luxembourg part of the GR5: facts. GR5 - De Wissembourg à Nice ou Menton information pratique. 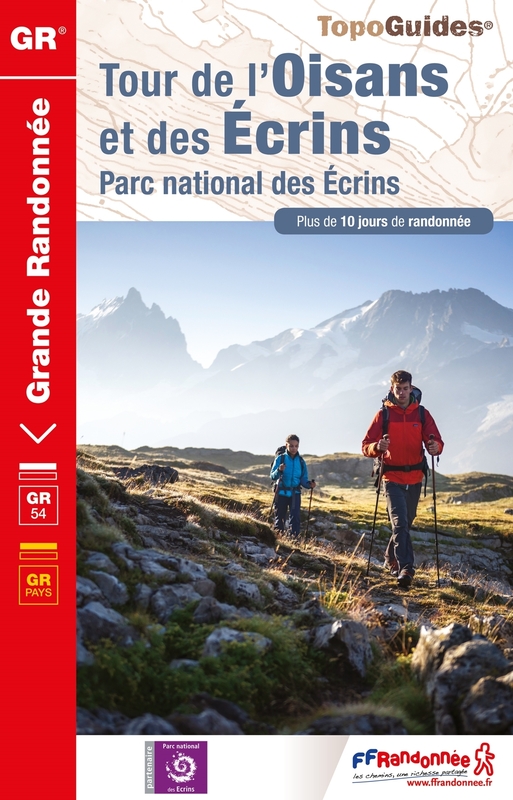 French home page for the GR5 (the French part). Description of the trail GR5-GR52 between Lac Léman in Switzerland with the Metinerranean coast at Menton. Somewhat older website but still useful. 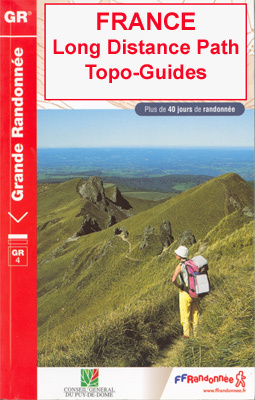 This website focusses on the French part of the GR5. Iwan Oprins finished the GR5 in 2009, and maintains a very informative website. The entire trail is photographed. 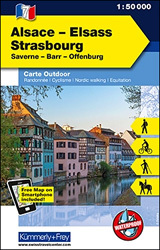 Including GPS waypoints, maps, accommodation etc. Rando 21 is a hiking club. 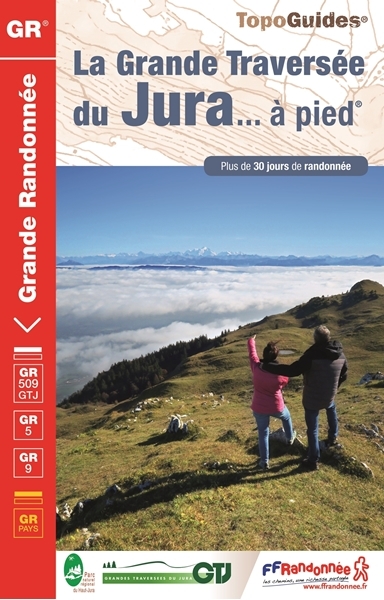 Trail journal and photo album of the part of the GR5 that crosses the Jura. 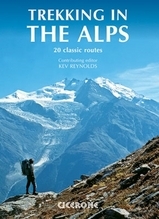 Website dedicated to this popular trail. 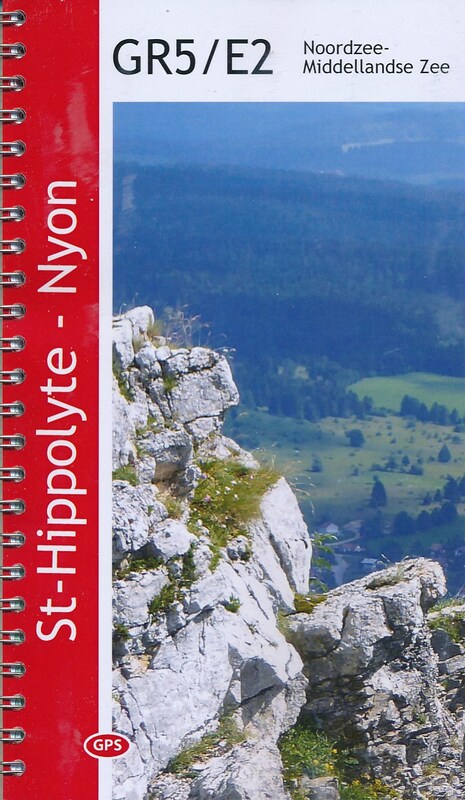 Good report on the Alpine part of the GR5, south of Lake Geneva. Good place to find the answers you're looking for. 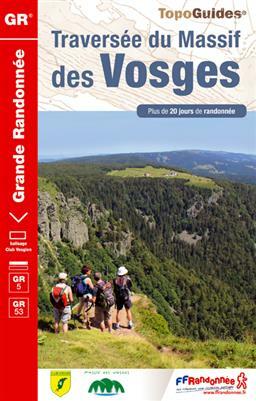 Imagine: 56 days on trail, hiking from Wissembourg to Menton, from the Vosges to the Mediterranean. Here it is, the hike, the story, and the pictures. A happy smiling face in the end. De GR5 in Belgium can be done in 24 hours. 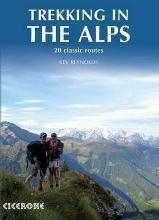 Account and many pictures of the entire trek from Lac Léman to the Mediterranean along the GR5. Trail diary covering the GR5 from the Dutch border to the French border. The Jura part of the trail. Some nice panoramas. Bert de Wit and Eelco van Dijk hiked parts of the GR5 and are still heading for Nice. Southern part of GR5 combined with the GR52 to the coast of the Mediterranean. Diary, map, pictures. Fine trip report, of the Vanoise part of the GR5: between Modane and Landry, walking north. This page is about hiking in Europe. Report of some of the GR5 around the Dutch-Belgian border. Several parts of the GR5 are described on the page of Ton de Maagt. Photo album of the entire trail. Wim the Haan hiked from Maastricht to Nice. Here his detailed account with pictures. 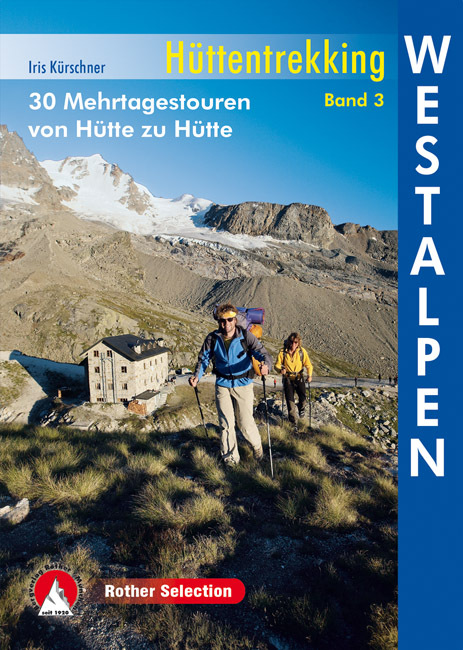 Blog-style website website with many photo galleries (this makes hiking in Europe great fun). 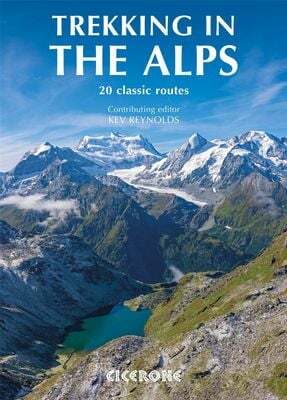 The authors only hiked a small part of the GR5 yet. Most people start in Maastricht and forget about the first part of the GR5. Arthur and Mic started at the very beginning, but no sign of Nice yet. Account of the hike from Maastricht to Nice. Huge picture album, the stretch between Grenoble and Nice, the Alps. 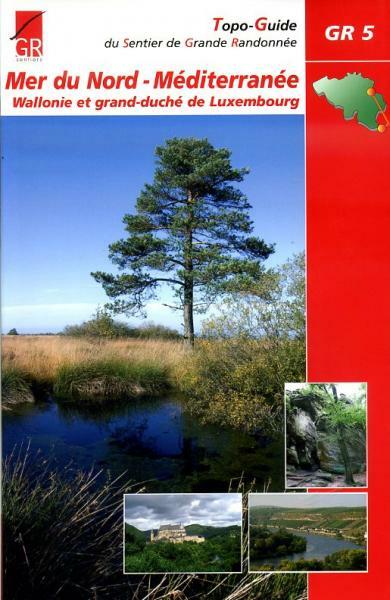 Report of a trip in the French part of the GR5. The "Pilgrim Boppers" leave their track. This is part one of the GR5. starting from Hoek van Holland. And this is part II of the "Pilgrim Boppers" account. This hiker started in Brussels, "manneken pies" (the peeing little man). Concise description of the GR5. "It took us two and a half month". Trail diary. Note: click on the little triangle enter the website. 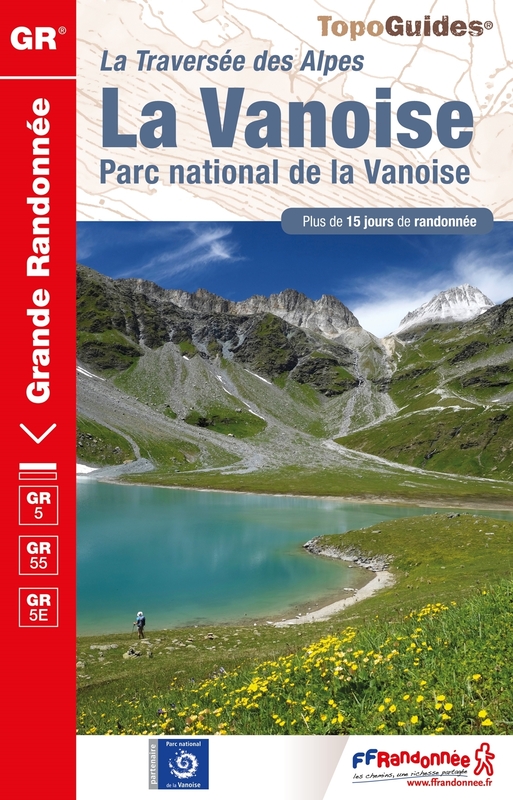 Reportsa of some of the French sections of the GR5 trail. 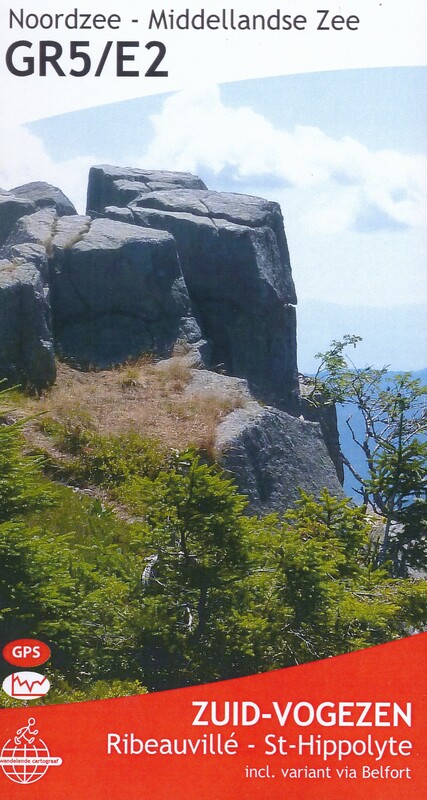 Short piece of the trail in the Vosges. Linda Oskam names this "her greatest project". She is halfway now. Fred and Nat trekking on the GR5 (Crête des Vosges) with their tent. Report of the traject between Larche and Modane (Vanoise and Queyras). Map, dairy, pictures. Short report of a hike along the GR5 and GR52, from Modane to Menton, with pictures and links to GPS map. Nathalie Penders put her story of several long distance hikes - GR5, GR10, GR20, C2C - online. Ton de Maagt's hike from Netherlands to Santiago, partly using GR5 / E2. Wandel homepage van Vincent en Jeannette. All the way from Hoek van Holland to Nice! Suzanne Middeljans started in Maastricht on March 29 of 2004 and finished in Nice on June the 27th of 2009. On their way from the North Sea to Nice ... currently somewhere in the Jura. Pretty tough hikers. Alltogether 2313 km from the north of the Netherlands to Nice. A. Foto album etappe 1. 29-12-2012. Station Maastricht Centrum naar station Visé. Afstand ± 27 kilometer. 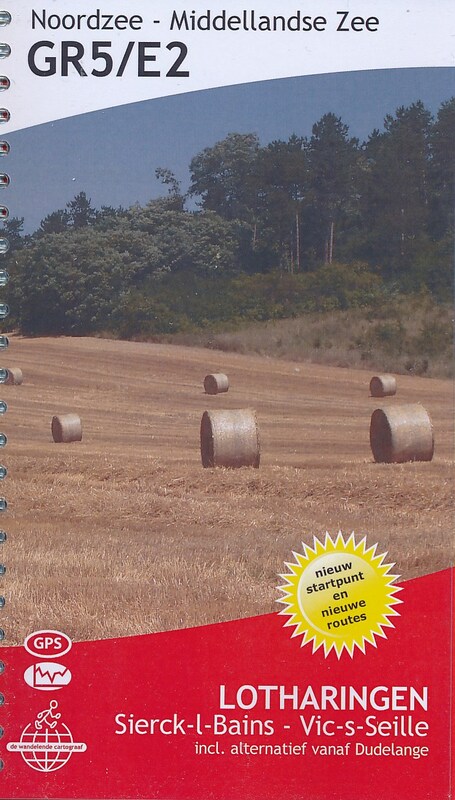 De 1-ste etappe van de GR-5. A. Foto album etappe 2. 12-01-2013. Station Vise naar station Fraipont. Afstand ± 34 kilometer. De 2-de etappe van de GR-5. A. Foto album etappe 4. 22-04-2013. Station Spa naar station Vielsalm. Afstand ± 33 kilometer. De 4-de etappe van de GR-5. A. Foto album etappe 5. 01-07-2013. Station Vielsalm naar Ouren. Afstand ± 37 kilometer. De 5-de etappe van de GR-5. A. Foto album etappe 6. 2-7-2013 van Lutzkampen naar Obereisenbach. Afstand ± 23 kilometer. De 6-de etappe van de GR-5. A. Foto album etappe 7. 03-07-2013. Van naar Obereisenbach naar Gilsdorf. Afstand ± 36 kilometer. De 7-de etappe van de GR-5. A. Foto album etappe 8. 04-07-2013. Van naar Gilsdorf naar Steinheim. Afstand ± 41 kilometer. De 8-de etappe van de GR-5. A. Foto album etappe 9. 05-07-2013. Van naar Steinheim naar Wasserbillig. Afstand ± 21 kilometer. De 9-de etappe van de GR-5. 22-10-2013. Van Wasserbillig naar Ehnen. Afstand ± 27,8 kilometer. De 10-de etappe van de GR-5. 23-10-2013. Van Ehnen naar Frisange. Afstand ± 40.1 ( plus 6 extra) kilometer. De 11-de etappe van de GR-5. 24-10-2013. Van Frisange naar Knutange. Afstand ± 45.5 kilometer. De 12-de etappe van de GR-5. 25-10-2013. Van Knutange naar Quaraille. Afstand ± 38 kilometer. De 13-de etappe van de GR-5. 26-10-2013. Van Quaraille naar Ars-sur-Moselle. Afstand ± 25 kilometer. De 14-de etappe van de GR-5. 27-10-2013. Van Ars-sur-Moselle naar Pagny-sur-Moselle. Afstand ± 26 ( plus 4 ) kilometer. De 15-de etappe van de GR-5. 28-10-2013. Van Pagny-sur-Moselle naar Pont-a-Mousson. Afstand ± 26 kilometer. De 16-de etappe van de GR-5. 29-10-2013. Van Pont-a-Mousson naar Pompey. Afstand ± 43 kilometer. De 17-de etappe van de GR-5. 31-03-2014. Van Station Genk naar Sint Pietersberg Maastricht. Afstand ± 39,1 kilometer. De 18-de etappe van de GR-5. 14-04-2014. Van de kerk in Viversel naar Station Genk. ( met de variant om Hasselt heen) Afstand ± 39,5 kilometer. De 19 etappe van de GR-5. 22-05-2014. Van Pompey naar Vic-sur-Seille. Afstand ± 40 kilometer. De 20-de etappe van de GR-5. 23-05-2014. Van Vic-sur-Seille naar Niderhoff. Afstand ± 54 kilometer. De 21-de etappe van de GR-5. 24-05-2014. Van Niderhoff naar Col du Donon. Afstand ± 36 kilometer. De 22-de etappe van de GR-5. 14-05-2015. Van Schirmeck naar Le Howald. Afstand ± 23 kilometer. De 23-de etappe van de GR-5. 15-05-2015. Van Le Howald naar Chatenois. Afstand ± 48 kilometer. De 24-de etappe van de GR-5. 16-05-2015. Van Chatenois naar Ribeauville. Afstand ± 29 kilometer. De 25-de etappe van de GR-5. 19-07-2015. Van Ribeauville naar Aubure. Afstand ± 12 kilometer. 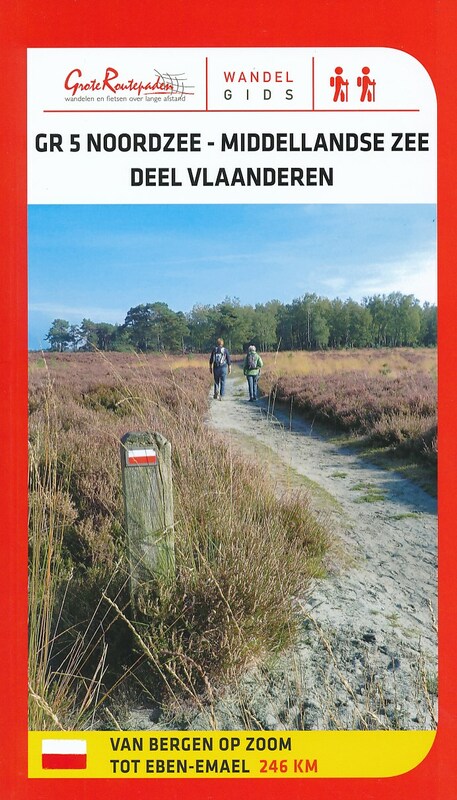 ( met aansluitend een rondwandeling om terug te keren naar Ribeauville van 16 kilometer) De 26-de etappe van de GR-5. 20-07-2015. Van Aubure naar Col du Calvaire du Lac Blanc. Afstand ± 24 kilometer. ( met aansluitend nog bijna 5 Km tot de Refuge du Val dÓrbey) De 27-de etappe van de GR-5. 21-07-2015. Van Col du Calvaire du Lac Blanc naar Mittlach. Afstand ± 24 kilometer. ( met alternatieve aanloop vanuit Refuge du Val d’Orbey) De 28-de etappe van de GR-5. 23-07-2015. 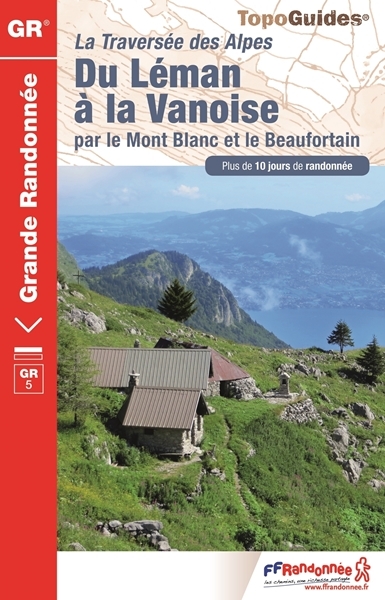 Van Mittlach naar Chalet Hotel Grand-Ballon. Afstand ± 29 kilometer. ( met alternatieve aanloop vanuit Camping Municipal Langenwasen) De 29-de etappe van de GR-5. 24-07-2015. Van Chalet Hotel Grand-Ballon naar Thann. Afstand ± 22 kilometer. 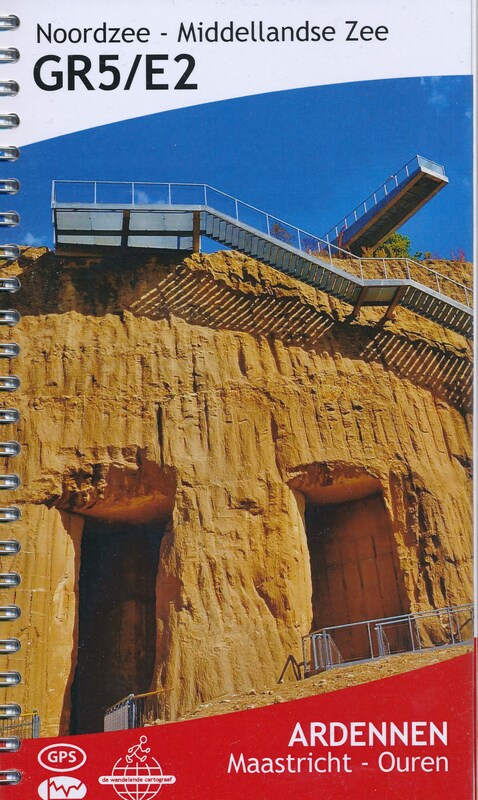 ( met vanaf hier een verplaatsing per trein naar Cernay, Camping les Cicognes) De 30-de etappe van de GR-5. 26-07-2015. Thann naar ferme Rouge Ballon. Afstand ± 22 kilometer. ( met eerst een verplaatsing per trein Cernay naar Thann) De 31-de etappe van de GR-5. 27-07-2015. Van ferme Rouge Ballon naar Giromagny. Afstand ± 26 kilometer. De 32-de etappe van de GR-5. 29-07-2015. Van Giromagny naar Brévelliers. Afstand ± 33 kilometer. De 33-de etappe van de GR-5. 30-07-2015. Van Brévilliers naar Vandoncourt. Afstand ± 26 kilometer. De 34-de etappe van de GR-5. 31-07-2015. Van Vandoncourt naar Saint Hippolyte . Afstand ± 27 kilometer. De 35-de etappe van de GR-5. 27-08-2015. Van station Bouwel naar camping de Vijvers in Averbode. Afstand ± 38 kilometer. De 36 etappe van de GR-5. 28-08-2015. Van camping “De Vijvers “ bij Averbode naar Viversel. Afstand ± 44 kilometer. De 37 etappe van de GR-5. 11-10-2015. Van station Bergen op Zoom naar station Kijkuit. Afstand ± 32 kilometer. De 38 etappe van de GR-5. 14-11-2015. Van station Kijkuit bij Kalmthout naar Station Noorderkempen bij Brecht België . Afstand ± 25,1 kilometer. De 39 etappe van de GR-5. 06-12-2015. Van station Noorderkempen bij Brecht België naar station Bouwel . Afstand ± 38,1 kilometer. De 40 etappe van de GR-5. 13-12-2015. Van station Hoek van Holland Haven naar station Maasluis . Afstand ± 22 kilometer. De 41e etappe van de GR-5. 20-04-2016. Van station Maassluis naar camping de Houten Paardjes net buiten Rockanje . Afstand ± 34,05 kilometer. De 42e etappe van de GR-5. 21-04-2016. Van camping de Houten Paardjes net buiten Rockanje naar camping Johanna Hoeve bij Herkingen . Afstand ± 27,2 kilometer. De 43e etappe van de GR-5. 22-04-2016. Van camping Johanna Hoeve bij Herkingen naar camping Mattenburg bij Nieuw-Vossemeer . Afstand ± 32,1 kilometer. De 44e etappe van de GR-5. 23-04-2016. Van camping Mattenburg bij Nieuw-Vossemeer naar station Bergen op Zoom . Afstand ± 20 kilometer. De 45e etappe van de GR-5. 7-06-2016. Van camping Municipal in Saint Hippolyte naar de Abri La Charbonniere-du-haut . Afstand ± 37,2 kilometer. De 46e etappe van de GR-5. hello! Where can I find the descriptive of the netherlands GR5 section ,please ? It's called Deltapad, or Nederlands Kustpad. http://www.traildino.com/trace/continents-Europe/countries-Netherlands/trails-Deltapad. The GR5 uses the northern and eastern parts of this path. Hi. 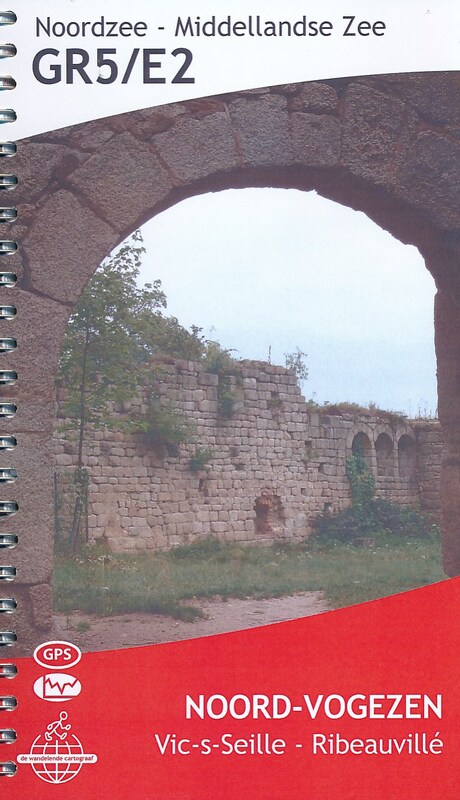 I already posted several walking daybooks from the gr5, Next week I will walk the dutch part between Maassluis and Bergen op Zoom. The hicking report will be posted arounf the first of May. My name is Thomas and i'm planning to run from Brussels to Nice. I'm new to traildino and was wondering if these trails were " runable". Well, it depends on you. The path is not hard covered most of the time. And in some places it will be too steep for running. Best is to compare the GR5 with any other hiking trail you know of that is used for running challenges. Some people manage to run everywhere in every terrain!! 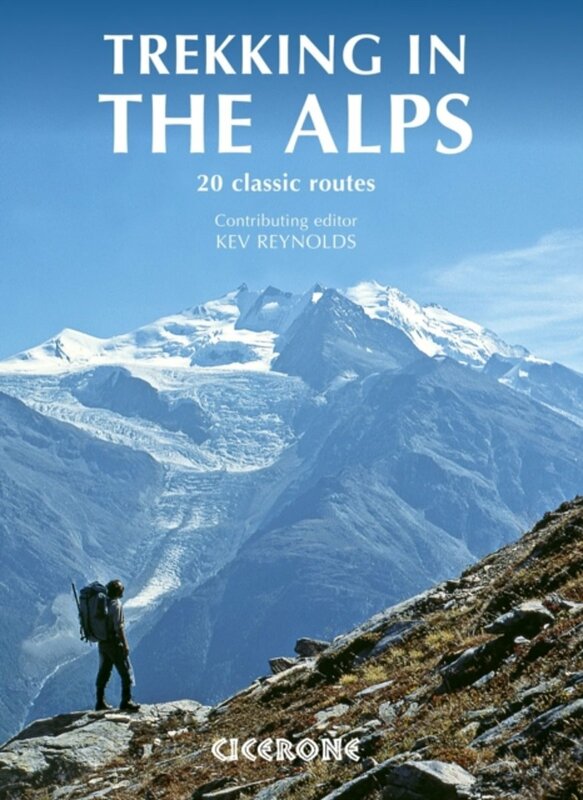 I want to hike the GR5 but I want to start in feburary. So I think it is smarter to walk the trail the other way around because of the temperatures. Does anybody knows if the trail is marked in both direction? Yes, the path is marked in both directions. But if you start in Nice in February, you will soon run into problems because of the snow. Even when you start in May, you should be prepared for snow in the higher parts of the Alps. On the other side, starting south and walking north is generally a good idea if you like to make pictures, because you will have the sun in your back. Hello! 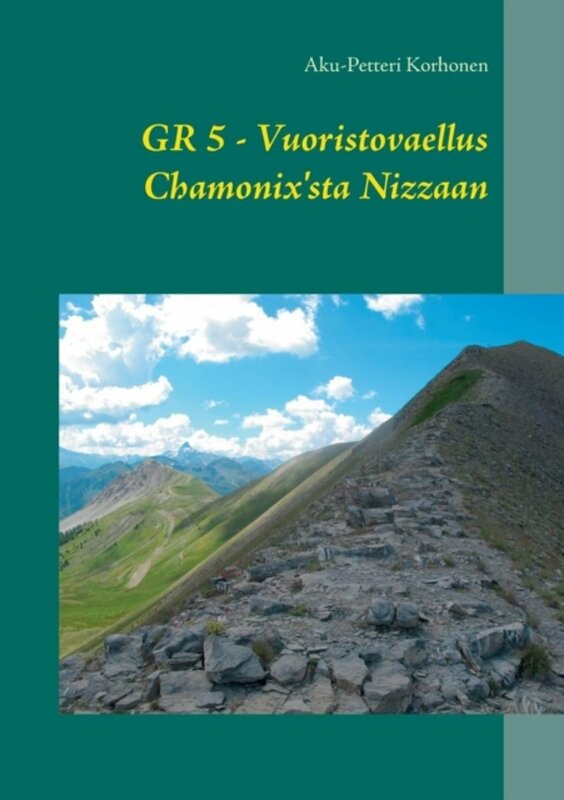 Do you have the GR5 netherlands section?